Wine racks can be utilitarian or decorative, but they are designed to hold bottles of wine to free up space; some are for storage, while others are for displaying wine. Wine storage units come in incredible variety, designed to display a single bottle until hundreds of bottles, and everything in between. Materials range from inexpensive pine racks to walnut, oak, or even more exotic wood wine racks. 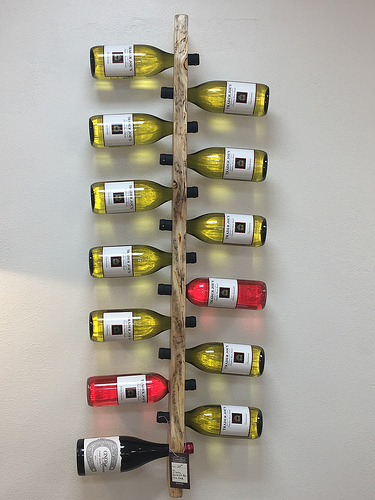 The attractive look of wood can be associated to the strength of metal; very popular and functional are redwood wine racks, iron wine racks, all in a variety of styles. Blending the strength of steel with the subtlety of wood, the wine racks are made from galvanized steel and high quality pine, which can be left natural or finished in a cuprinol wood preservative. The most spectacular are the glass wine racks. Wine racks made for storage are usually made of wood, often pine. They are rectangular frames without a front or back, that stand on a wide foot. 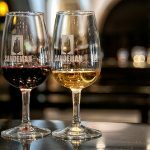 The frames have vertical runners, evenly spaced, with horizontal ledges between two vertical runners; they can be stacked in a large kitchen or a cellar to form a wall of wine, they can be used individually, placed on a counter. A small modular wine rack holds 10 bottles of wine. The wine racks’ design is also diversified: table top wine racks, cellar wine racks or floor wine racks. The wine racks can be expandable, and we may grow the wine collection using stackable wine systems too. The popular line of wine tacks is the modular one; they are easy to install and made of redwood. Usually they are made in two different heights to suit a large range of ceiling heights. Some firms are also customizing the racks to suit the clients’ cellar. The most attractive racks are made of all heart redwood, western red cedar or Malaysian mahogany. They are the highest quality racks, having the standard height of 71 15/16 with a half height rack at 38 3/16″. These racks are deeper, so the necks of bottles are completely submerged. Wine racks can also be stained oak or mahogany. For customers requiring a more decorative look to their wine tacks, they can be made using solid brass or stainless steel instead of galvanized steel and can also be made from solid oak or mahogany. Whatever the combination of materials chosen, our racks are designed for both strength and durability. There may be more designs for wine racks, than there are types of wine; there is a wine rack to fit every personality, and purpose: whimsical or simple, austere designs that are more pragmatic than artistic. Some wine racks serve more as furniture, to add ambience to a room. If a bottle is removed from such a wine rack, another must quickly take its place or the wine rack will look incomplete. A wine rack can be made of ornate cast iron, wrought into a design that resembles a ribbon gracefully wrapping around it. A wine rack like this can be pure decorative and kept on a counter, or might be used on a tabletop for those romantic dinners for two, adding a classy touch. There is also low profile wine racks made for storage inside the refrigerator; a wine rack will come in very handy for you. No matter what décor requirement or space you have, there is a rack that will fit perfectly in the home. There are wine racks created for the most discerning of private collectors and wine shops to display their finest vintages, innovative racking system stored bottles with the label facing out for dynamic presentation and accessibility to the needed wine. Some firms are assisting the customers to make their own wine racks models. Dimensions of there wood wine racks are depending of the customer’s desires and needs. Wine racks are widely available at department stores and many specialty shops. There are also wine vendors online. For a lively accent in the kitchen or dining room, with the look of a vintage heirloom, we can have the French Vineyard Wine Rack. The painted metal sides have a weathered patina that’s a colorful complement to the top of this piece, which is decorated with grape, bunches and embossed vines. This is a memorable and fun wine rack. The wine racks are assuring the customer’s protection against damaging conditions. Almost all the wine racks have a solid construction, being able to handle the weight of wine bottles, and can withstand the humidity and temperature levels the wine needs. In addition to its strength and durability properties, the wine racks are virtual odorless furniture which will not affect the flavor of the wine. Using the wine racks, the client will have not fear about its bottles’ movement and sediment being disturbed. As wood specie, maple is very stable and allows the wine to mature without worry of movement or instability. The bottles are stored individually on wine cellar shelving allowing fetching the needed bottles easily without disturbing or re-arranging other bottles. There is plenty of space between bottles to ensure reasonable air circulation and temperature consistency. The wine is important for many customers, so they can choose a wine storage system that can depend on to grow as the wine collection grows. The wine racks can be useful to build a complete wine cellar or fill a corner, a counter, or an entire room. The stackable mix and match storage components give even difficult to fill spaces a custom look. 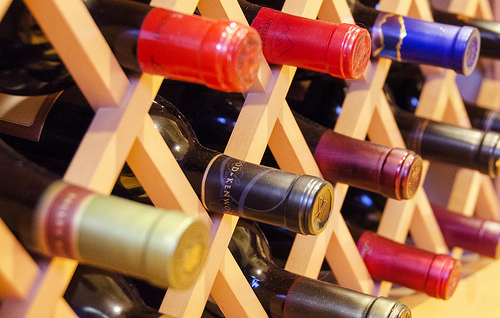 Proper wine storage starts with wine racks and ends with cool, controlled temperatures. They are always great deals for the wine enthusiast. Luxurious style with a handcrafted look that rivals fine custom racking, in mahogany or Redwood, with the look and quality that will last a life time, the wine racks are always useful and decorative. 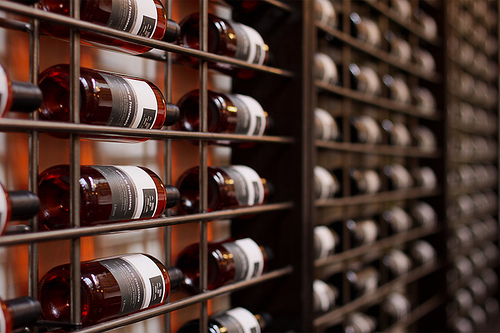 Many wine racks models have the ability to meet the clients’ needs with an eye catching appeal. 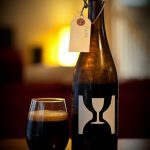 The labels on the bottles are easily read when stored the proper way. Feel free to pour yourself a glass of your favorite wine and take a gander are some of the many designs without even leaving home. And the next time you reach for that perfect vintage, you might just slip it out of the perfect wine rack!